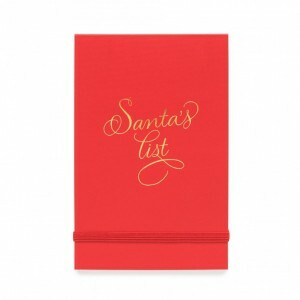 The perfect pad for making that annual list for Santa. Printed with gold foil on Christmas red cover with white paper inside and an elastic closure. 50 sheets per pad, 3.75″ x 5.75″.